Good to see things going in the right direction. 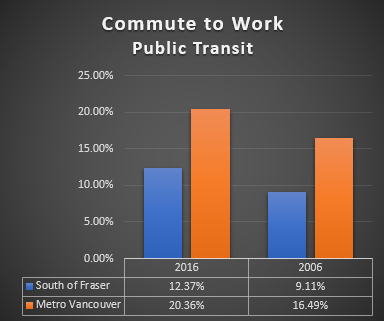 I wonder if the decline in White Rock is due to the loss of the direct to downtown express buses with the start of the Canada Line. 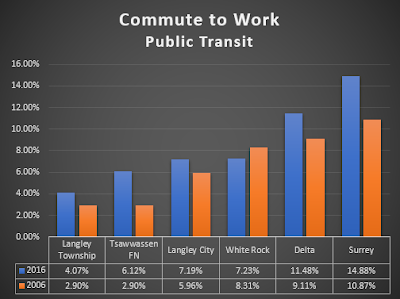 Obviously the Canada line helped boost the numbers in Delta, Richmond and Vancouver....but maybe over the longer distance the express buses worked better for people in WhiteRock?